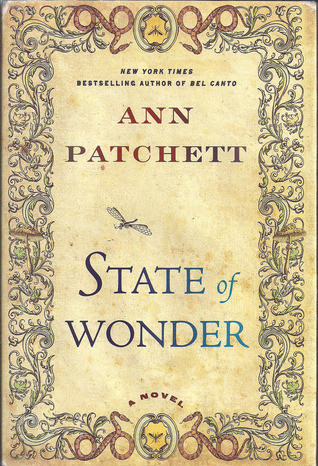 Ann Patchett excavates questions of humanity, morality and scientific advancement though this highly thought provoking novel. Dr. Marina Singh embarks on a quest for a pharmaceutical company. She is sent searching for information and a lost colleague in the dangerous expanse of the Amazon jungle. The journey resonates with terrifying memories of her childhood and early professional career, imbuing a sense of confusion and darkness that parallel her current mission. Through a variety of adventures, Marina eventually connects with her past professor and scientific idol, Dr. Annick Swenson. Dr. Swenson strives to maintain secrecy and autonomy in her scientific research. This adventure in the amazon is equally mystifying and compelling, each turn in the story provides another layer of moral ambiguity that leaves the reader puzzling out the characters’ actions. Well worth reading! Tell us what you think about State of Wonder! Just leave a comment. I loved this book! We were lucky enough to have the author attend one of our annual “One For the Books1” dinners in 2011. She also toured our temporary space, and spoke about the power of libraries to shape a community. Did Ms. Patchett spend time in the Amazon before writing her novel?